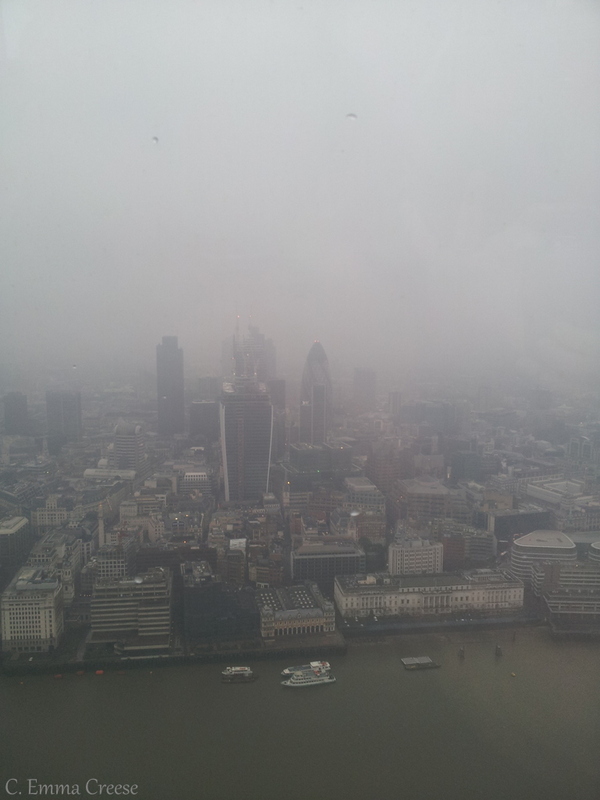 Sometimes London is a brat. Most of the time she is lady; elegant, amusing, enticing, busy, and, let’s be honest kinda dirty in some respects. She does occasionally like to show her more tempestuous side, possibly just to prove that we are mere mortals inhabiting her shores and to treat her with the respect she deserves. We tend to wax-lyrical viewing London in a rose-tinted spectacles manner (a bit of a love-in), sharing what we’ve enjoyed recently, until it goes wrong. Through our adventures, we try to share some of the delicious oddments and corners that we’ve found on our wanders, for instance the Worlds Biggest Egg Hunt (now back in London until Easter, be quick!) a 900-year old oak stump carved with elves, the Great Christmas Pudding Race and the fact that you can actually see Big Ben. We do like to keep it real though. 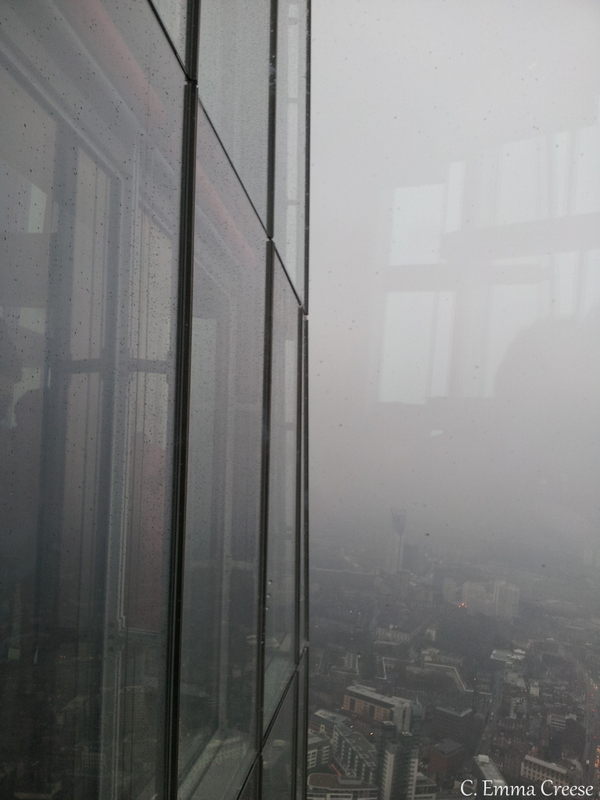 We planned a trip to the Shard about 6 weeks ago, thinking that weather in late-March should be pretty ok and if we were lucky, we might even get a little bit of blue sky. 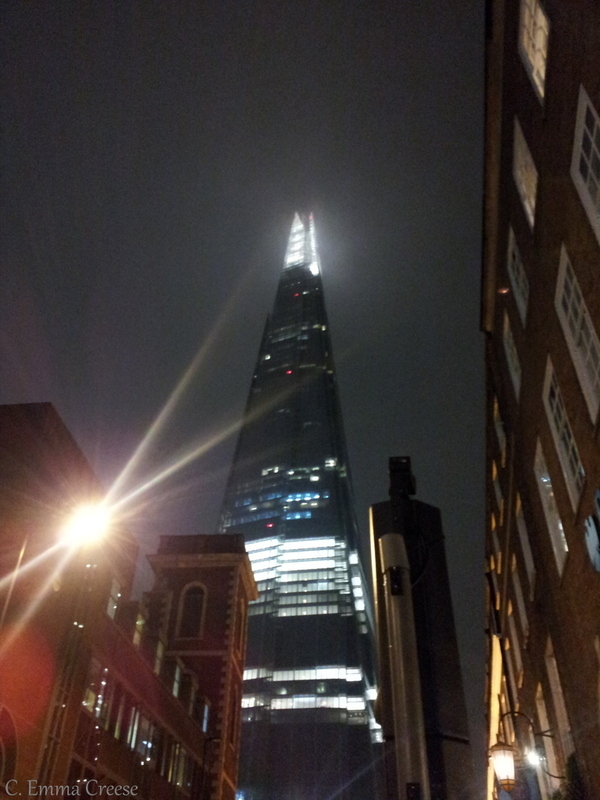 The Shard is London’s most recent addition to the fold of skyscrapers, and is currently Europe’s tallest building. 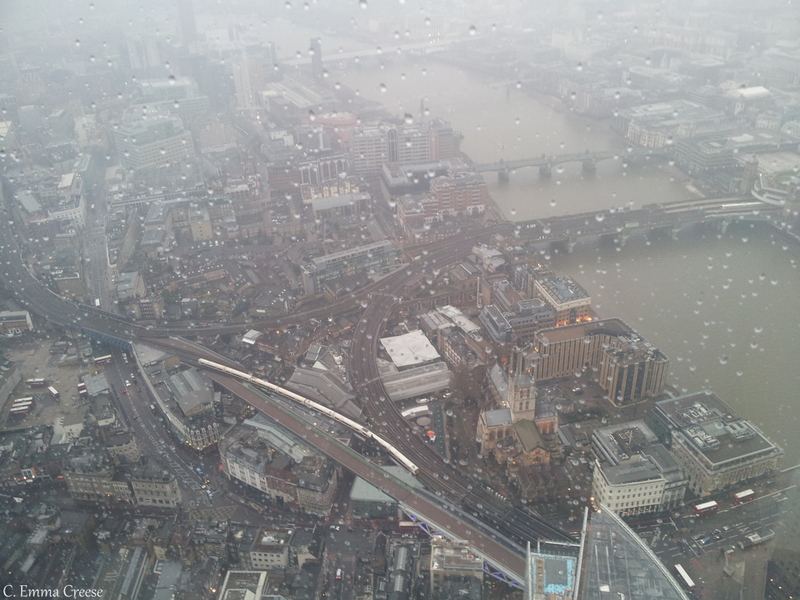 On a good day from the 68th and 69th floors you get the most amazing view over London for around 35 miles. 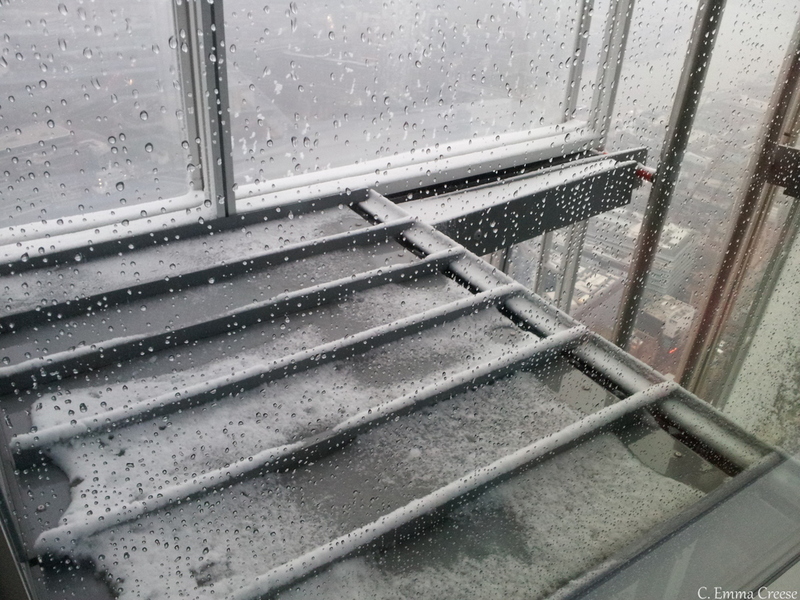 Ummm, snow, in late March? 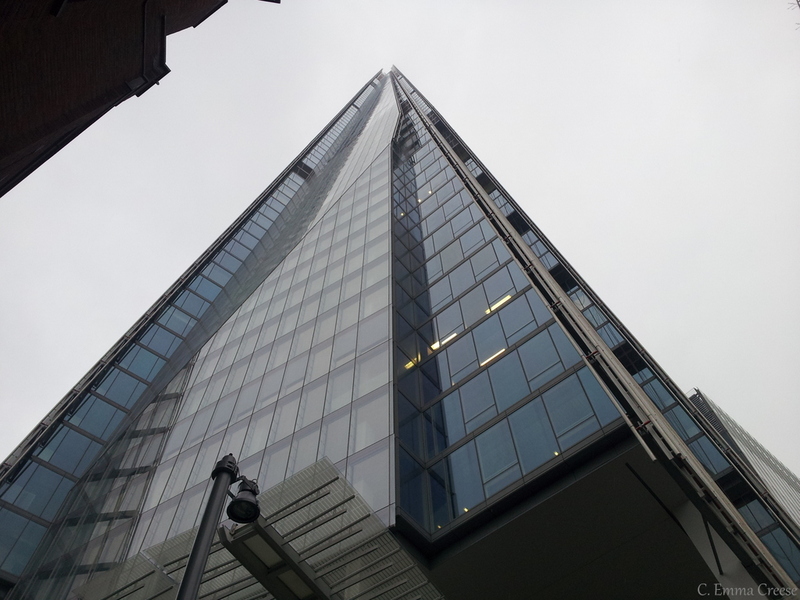 Honestly, it wasn’t an entirely wasted trip – we got to experience the Shard, get a taste of the view and be amused by their crazy lifts. 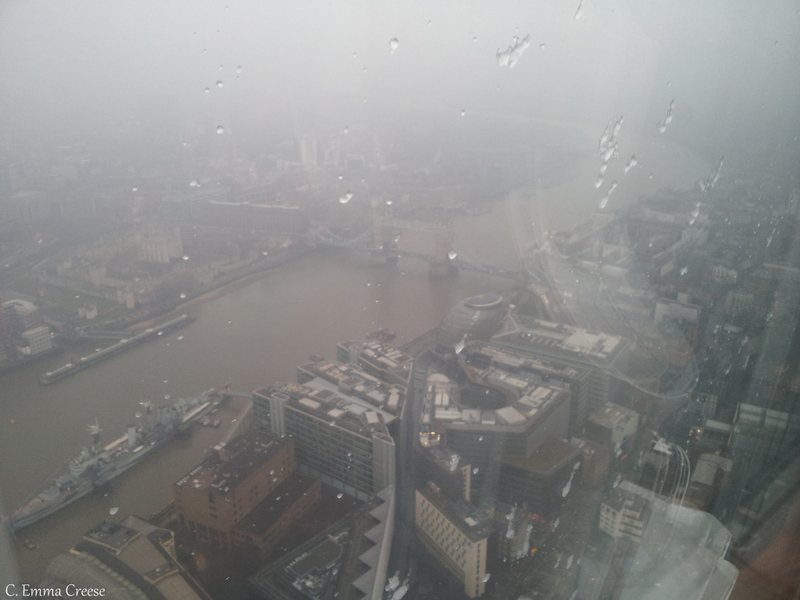 At £25 a pop, London’s ‘most eagerly awaiting new attraction’ was a bit disappointing beccause of the murky London weather but we will re-book and go again. Moral of the story? Don’t trust the weather, and always have a back-up pub to go drown your sorrows in the worst case scenario. What is your worst experience of bad holiday weather? Does it upset you, or because you are in more of a ‘holiday mode’ do you find that you can roll with it? Ps. Instead of dwelling too much on the weather, check out my giveaway.